In alternative medicine bodywork is any therapeutic or personal development technique that involves working with the human body in a form involving manipulative therapy, breath work or energy medicine. Bodywork techniques also aim to asses or improve posture, promote awareness of the "body mind connection" rather than the "mind-body connection". Thai Yoga is meditation in movement. A sacred dance, where the receiver is guided through a series of passive yoga positions. The mindfulness of the practitioner creates a safe room, allowing the receiver to find relaxation on a deep level. Thai Yoga Massage uses an energy line system - the Ten Sen - through which the body's natural life force flows. Blockages in this life force may cause aches, pains and disease. The therapist uses hands, feet and elbows to apply pressure to important points on the energy lines, together with gentle stretching applied Hatha Yoga. 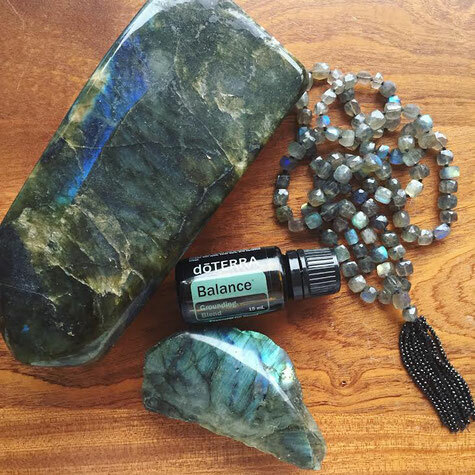 This releases blocked energy and frees the body's healing potential, restoring balance and harmony. A Thai Yoga Massage may improve flexibility, relax, restore and energize. Each treatment is designed to suit client needs. As the basic principle is to balance the energy body, this form of body work can be done on anyone: young, old, healthy or unwell. The wonderful yoga-based stretches used in Thai Yoga Massage are secondary and do not need to be integral to the treatment. However, for those able to receive them, these effective and beautiful stretches really enhance the experience and benefits. Whether it is a hand shake or a hug, all physical touch holds different meanings. Even when sharing essential oils, there is difference between rubbing the oils on someone's forearm and taking the time to really affect their overall wellbeing through the AromaTouch ® Technique. Physical touch is as important to the AromaTouch ® Technique as the aroma because of its amazing healing benefits. While the main purpose of the technique is to apply the oils and provide the recipient with an essential oil experience, the AromaTouch ® Technique is also about connecting with another person on an emotional level. The connections developed through this technique form feelings of trust and help the recipient relax. Each essential oil in the AromaTouch ® Technique was selected for its individual aromatic properties, and for their powerful aromatic properties when combined. 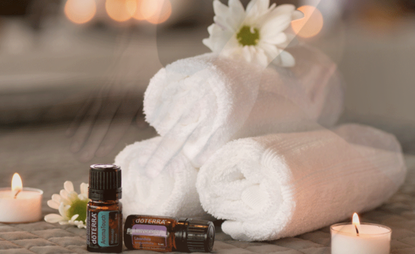 The AromaTouch ® Technique uses specific guidelines and instruction for both dosage and application that make it a safe and effective way to receive the full benefits of essential oils. The AromaTouch ® Technique is gentle and can be adapted to accommodate young or sensitive skin so that anyone can benefit without the worry of overwhelming the body. The most characteristic attribute of the very aromatic AromaTouch Technique are the carefully combined essential oils, that are applied - in a specific order - with gentle strokes alongside the spine and to the foot reflex zones. The essential oils of doTerra - having highly therapeutical qualities - have holistic effects and allow the body to dive into a deep relaxation. The balancing Breuss Massage leads recipients with back issues to a noticeable relief. This is an energetic, delicate massage alongside the spine with special attention to the vertebral body, that in turn are connected to the inner organs. The smooth strokes can initiate a self-healing process and calm the nerves. The pinnacle of this sequence is the application of a white sheet of silk paper to the previously “oiled” back. Thereby a cozy and secure sensation may occur, whereby the tissue of the back can additionally benefit of these balancing oils. This wellness experience is lead to completion by the grounding elements of the balancing Acupunture Massage by Radloff. The gentle strokes have the brilliant quality of creating a well-needed break for mind and soul. All three relaxing and energetic massages are well orchestrated and body, mind and soul find room and time to relax and recharge.